Being a die-hard fan on a mission to watch all of Hayao Miyazaki’s enchanting and charming stories, I have finally checked off from my list My Neighbor Totoro! The story is about two sisters, little Mei and older sister Satsuki, who move to the wide-open Japanese countryside with their father along side them. They want to be closer to their sick mother in the hospital, who is especially dear to the duo. Instantly, Hayao Miyazaki perfectly expresses a “stunningly realistic portrayal” of the laid back life amidst a sea of rice fields, plains, and surprisingly cute and cuddly forest spirits. The sisters have all the space in the world to run around and play, and while doing so, they befriend a large, friendly spirit who goes by the name of Totoro. Totoro then slowly unfolds a mystical and hidden world to Satsuki and Mei, where large cat buses ride the wind and soot sprites scurry about. My Friend Totoro is a heartfelt tale about breathtaking adventures, unsuspecting friendships, and the true essence of being a kid. 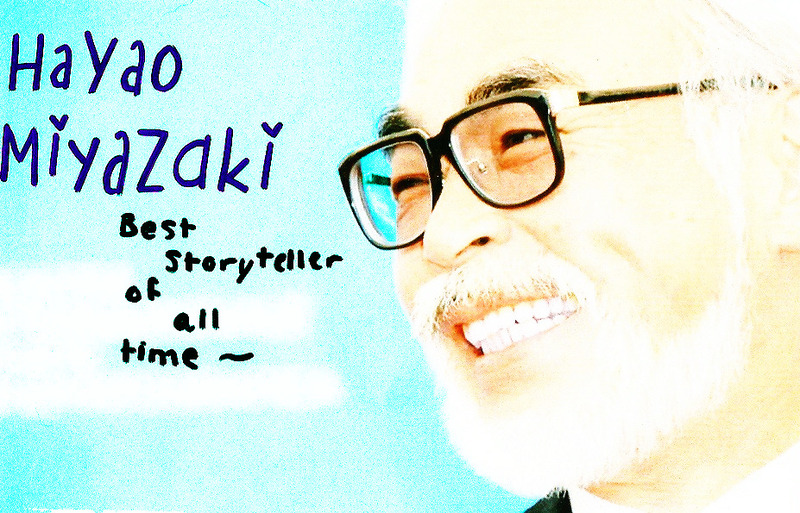 Somehow, Hayao Miyazaki’s movies always evoke so much emotion in me, it’s RI-DI-CU-LUS. After only one viewing, it has given me a sudden urge to move to the countryside and have my very own Totoro. I’ve already been imagining myself retiring to a peaceful cottage nestled on scenic rolling fields growing gardens and baking cookies, just like in the movie. It’s making me feel all warm and fuzzy. And frankly, it’s almost impossible not to feel that way after you watch this movie, or at least start cranking out that rusty imagination of yours like you used to when you were younger. You’d be lying if you said that Totoro didn’t influence you at all. Don’t be surprised if you find yourself wandering around in the woods looking for a tunnel. And most of all, don’t be afraid to completely surrender your newfound love for this movie. This entry was posted in Movies/Shows and tagged fantasy, Miyazaki, My neighbor totoro. Bookmark the permalink.